Volkan Oezdemir is one of the best mixed martial arts fighters who is working his way to the top one punch after the next. Though he was first popular for starting out his fighting career as a kickboxer who participated in combat fixtures such as the ‘Superkombat Fighting Championship,’ he now competes professionally in the Ultimate Fighting Championship (UFC) in the Light Heavyweight division. As a result of his impressive performance and grit over the years, he has risen in the ranks to take the number two spot in the official ‘UFC Light Heavyweight Rankings’ which was released on the 26th of July 2018. Here are details and more interesting facts about the champ. 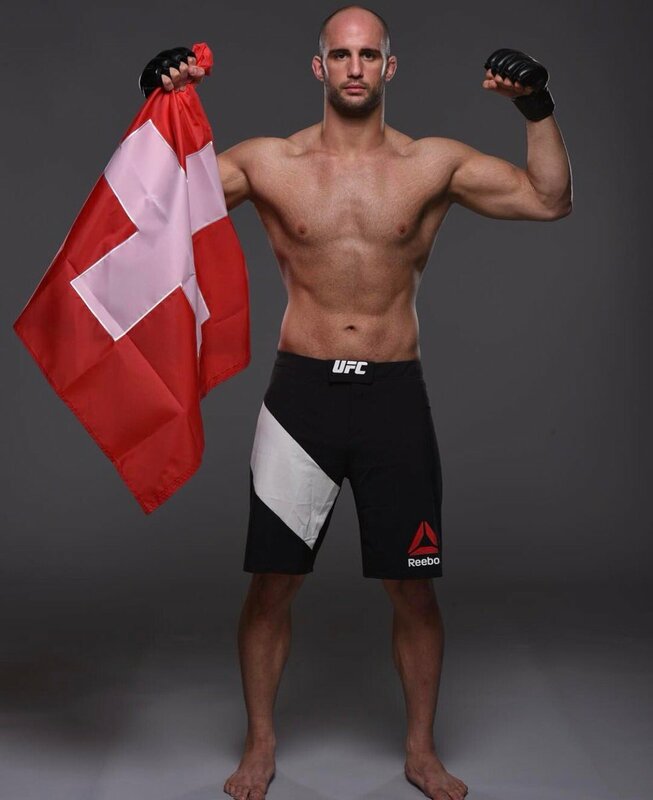 Volkan Oezdemir was born in Fribourg, Switzerland on the 19th of September 1989 to a Swiss mother and a Turkish father. His journey to success began when he made a trip to the Netherlands. While he was training there at the Golden Glory gym, he met fellow mixed martial arts fighter and former heavyweight champion, Alistair Overeem. The pair became good friends and it resulted in Volkan receiving some fighting and career tips from Alistair. Volkan Oezdemir would then go on to compete in amateur competitions including; Brazillian Jiu-Jitsu and Kickboxing, before moving on to focus more on building a career in mixed martial arts. His fighting skills finally got him noticed by the Ultimate Fighting Championship and he was duly signed in 2017. By the 4th of February 2017, Volkan Oezdemir made his promotional debut in the match against Vince St. Preux as a replacement on short notice. In the third round of the main card that night, Volkan defeated St. Preux by a split decision. At the UFC Fight Night 109 on the 28th of May 2017, which was his second fight for the promotion, he faced off against Misha Cirkunov. In the fight, he managed to knock him out in a shocking time of just 28 seconds in the very first round. His next match(UFC 214) which was held on the 29th of July 2017, saw him face Jimi Manuwa who was ranked third on the official UFC ranking for light heavyweight fighters. Volkan easily emerged winner through a knockout, a feat he recorded in the first minute of the match. This performance made him to also win the bonus given for the performance of the night. 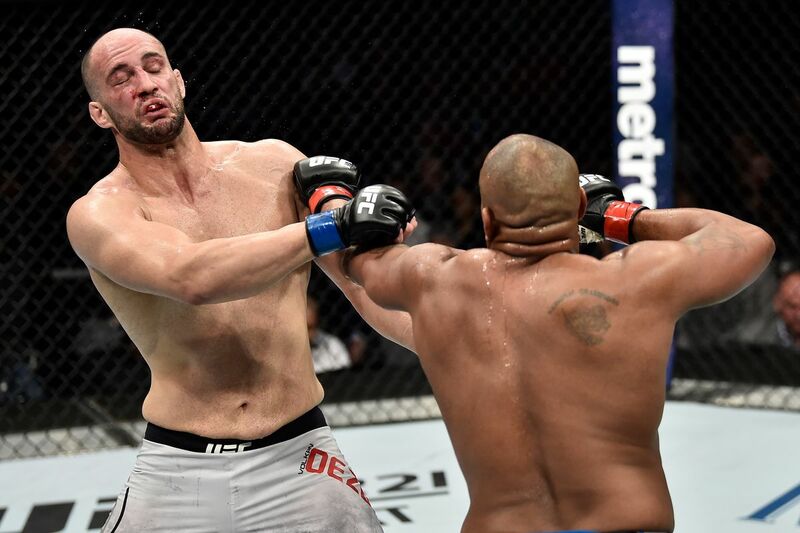 Volkan Oezdemir would later go on to face, Daniel Cormier, at the UFC 220 which held on the 20th of January 2018. Though the fight was in the Light Heavyweight division as he was already used to, he lost to Daniel in the 2nd round by TKO (Total Knock Out). Trouble crept up on him when he got arrested for aggravated battery on the 19th of November 2017. At the time, the condition for his bail was monetary which was set at $100,000. Luckily for him, the case was acquitted and he duly informed the press of his acquittal in 2018. Volkan’s next bout was thus scheduled to hold on the 12th of May 2018, where he was to face Maurice Rua, at the Fight Night 129. Unfortunately, as a result of an alleged visa issue in which Volkan was restricted from entering Chile, the match had to be rescheduled for the 22 of July 2018, this time at the UFC Fight Night 134. It was later reported on the 2nd of July that instead of a match against Maurice Rua, Volkan would be facing Alexander Gustafsson at the UFC 227 Fight Night rescheduled for the 4th of August 2018. Later in July, news came through that Volkan Oezdemir suffered a broken nose which finally made him be removed from the match altogether. Nevertheless, he was later billed to fight Anthony Smith at the UFC Fight Night 138, scheduled for the 27th of October. When it comes to the UFC or any sport that involves physical combat, contenders need to be of an accepted stature to be able to compete especially when it is a professional one. In the UFC just like Boxing, fighters are categorized based on their weight or mass with a little consideration of height; thus they could fall into divisions such as Strawweight, Bantamweight, Lightweight, Welterweight e.t.c. With Volkan Oezdemir, though his weight has fluctuated in the course of his combative career, he has majorly stayed within the lightweight or heavyweight category. Currently registering a weight of 205 lbs(93 kg) paired with a balanced height of 6 feet 2 inches(1.88 m), he is suitable to be classified under the Light heavyweight division. 1. His professional debut was in 2010 after having scored a record 9-0 prior to his signing with Bellator. 2. His promotional debut was against Josh Lanier on the 25th of October 2013 at Bellator 105. In the match, he won by Total Knock Out in the very first round. 3. In the match against Kelly Anundson which was fought on the 4th of April 2o14, Volkan Oezdemir had to drop down to the Light Heavyweight division. Unfortunately for him, he lost the match in the second round through a neck crank submission. 4. In 2014, Volkan Oezdemir debuted in the largest European kickboxing organization (The SUPERKOMBAT). 5. Currently, he boasts of a 5-0 record as a professional kickboxer. 6. Volkan Oezdemir has a net worth estimated to be about $500, 000. 7. The fighter is active on social media, particularly Instagram with thousands of followers where he posts pictures of some of his on and off the ring activities.